For those who love to go around, traveling can bring up a couple of concerns such as a place to stay, some lifestyle essentials, comfort, and many others. 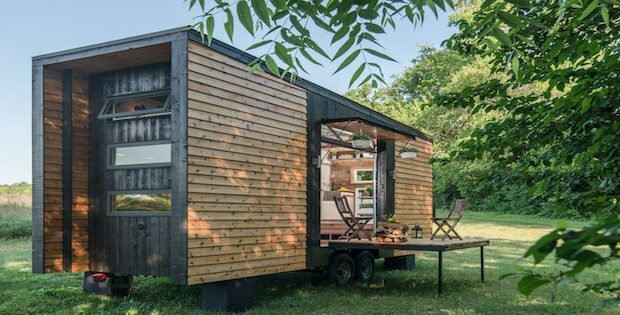 Good thing a company called New Frontier Tiny Homes designed an amazing luxury house on wheels called the Alpha Tiny Home and it’s designed to remove those concerns and possibly even give you more. 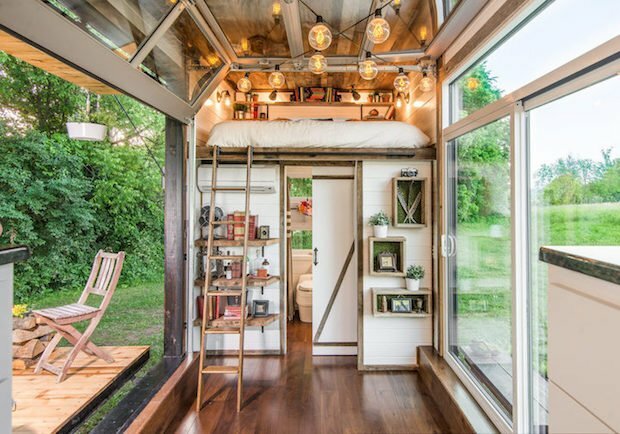 Since this is a tiny home, all that limited space has been properly managed and maximized with the use of multi-functional furniture. 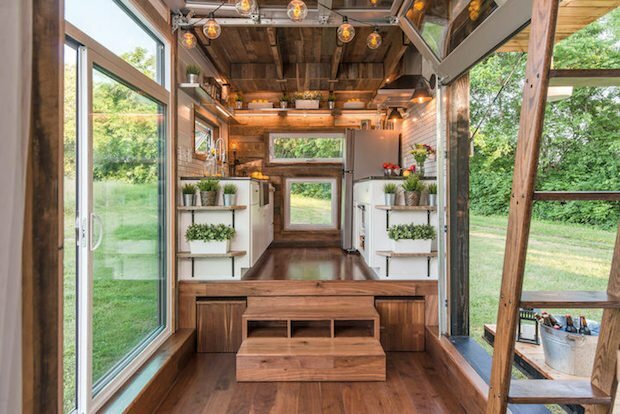 To add a little more space, there’s an outdoor deck you can fold out of the home where you can sit back, relax, and take in the ambiance of wherever your adventure has led you. 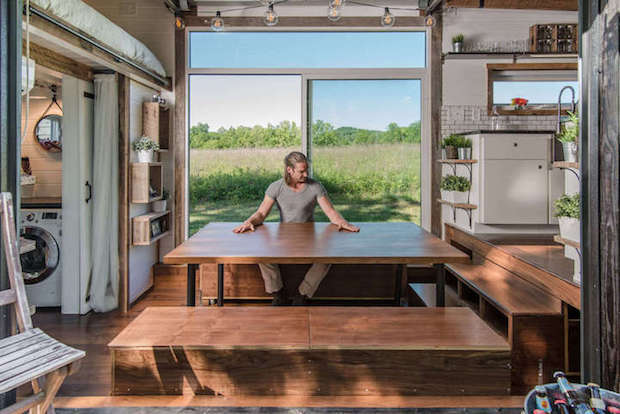 Large windows allow for lots of natural light to flood the interior, along with providing picture-perfect views of the outside scenery from within the comforts of the tiny home. 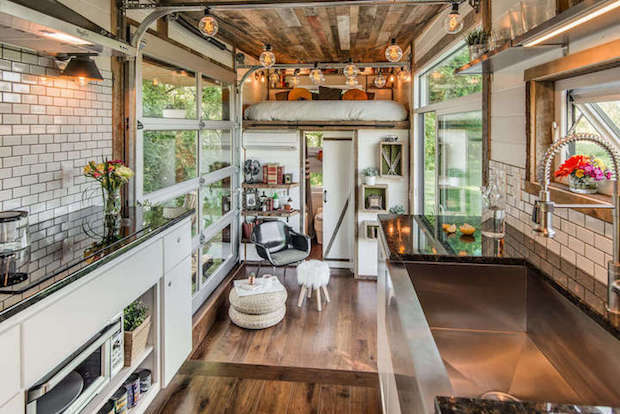 All this is jam-packed into 240 square feet of living space, yet it’s still as cozy as any larger luxury house out there. 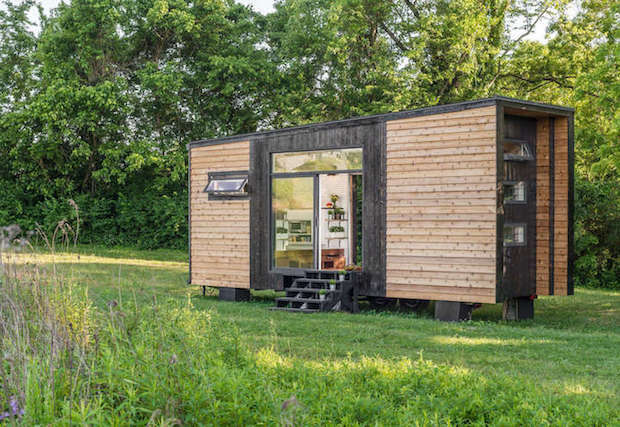 The company is selling their tiny home starting at $95,000. 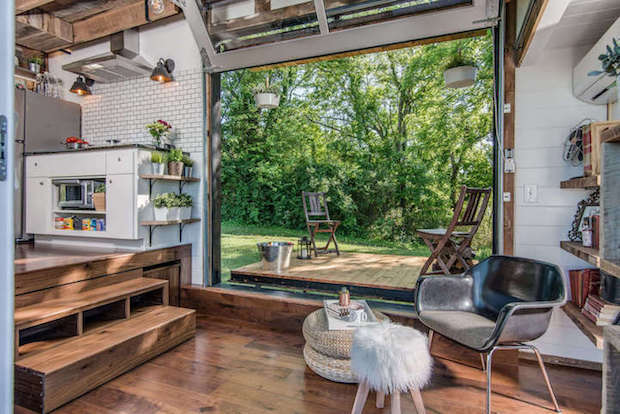 A step-up kitchen offers the same benefits as one in a conventional home. The latest appliances (such as an induction cooktop, fridge, and dishwasher), stainless steel sink, and plenty of above-head storage is a welcome sight to most cooks. 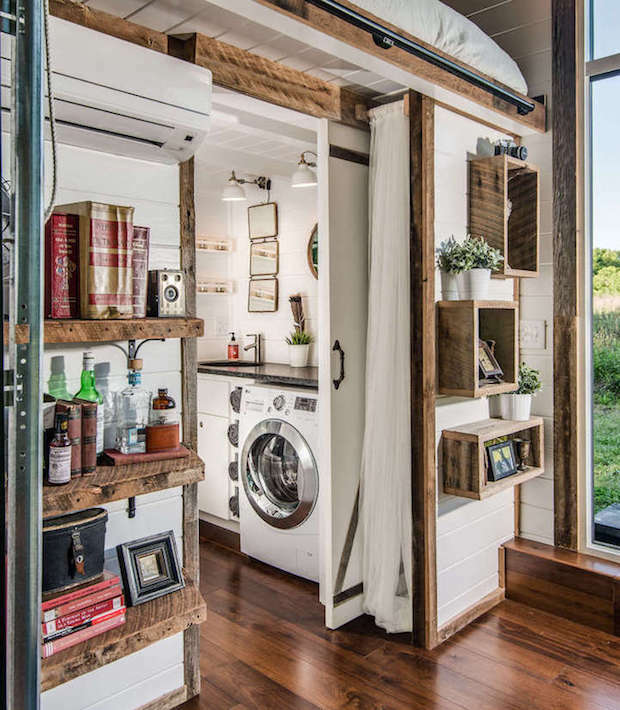 Similarly, the bathroom has the same caliber of amenities including a jacuzzi tub, shower, and composting toilet.